Brooklyn based Erica Diehl. 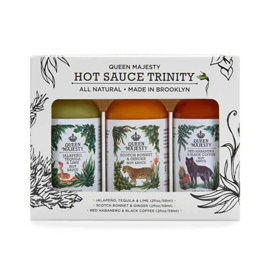 aka Queen Majesty is a graphic designer, DJ, and full-time hot sauce creator. 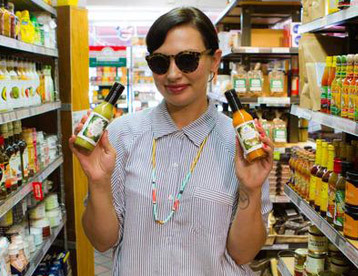 Since the early 2000s, she's been producing small-batch sauces from her kitchen in artist-and-maker-friendly Red Hook to provide people with delicious, healthy hot sauce that adds exciting flavor as well as heat.